Is there anything better in life than surviving an ultra bland Wednesday only to come home to find a shiny package patiently waiting for you from the Postal Service?! Okay … maybe it wasn’t shiny … maybe it was cardboard, but in my head it had a halo around it, alright. 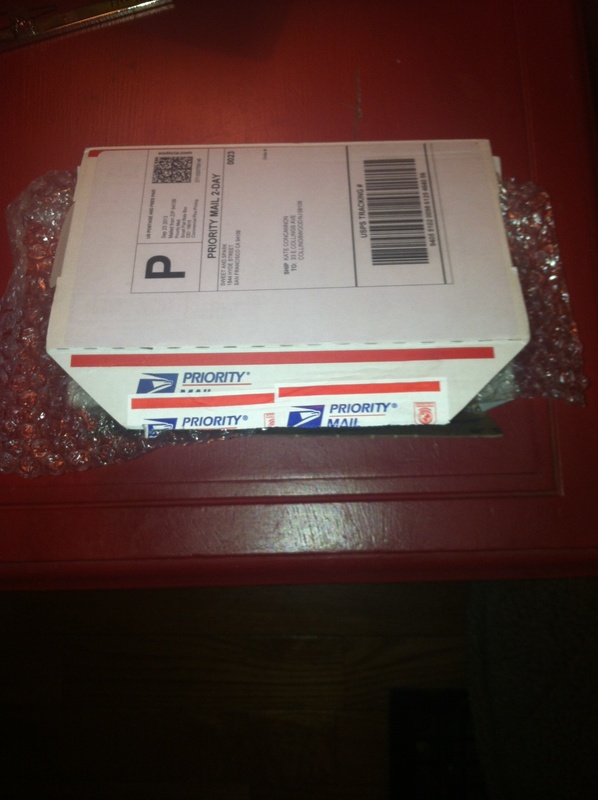 Step 1: Desperately trying not to rip open my package like the Incredible Hulk. Step 2: Succeed … and holy lord, is that a Kitsch hair tie keeping together the posh and pink tissue paper?! The note and spectacular post card … Packaging. Is. Everything. 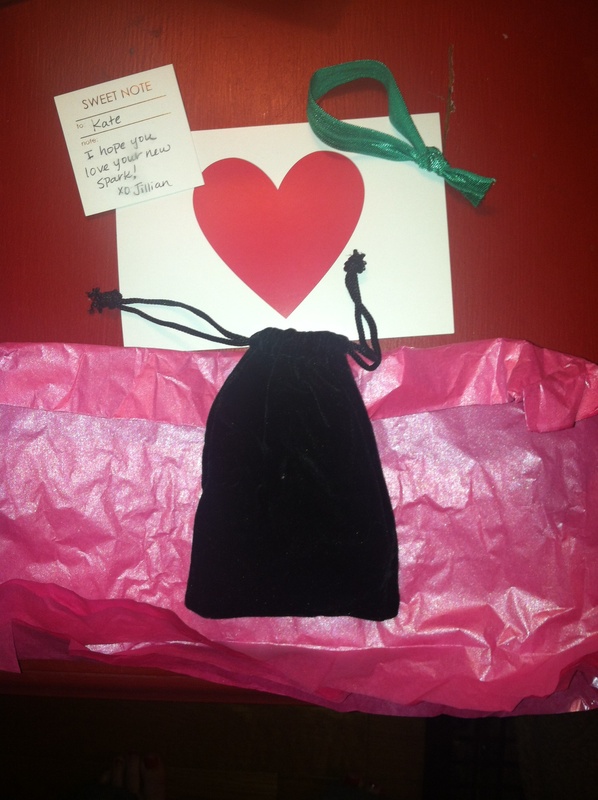 Step 3: You had me at black velvet jewelry bag. Step 4: And there she is. :::Sigh::: Isn’t she beautiful? 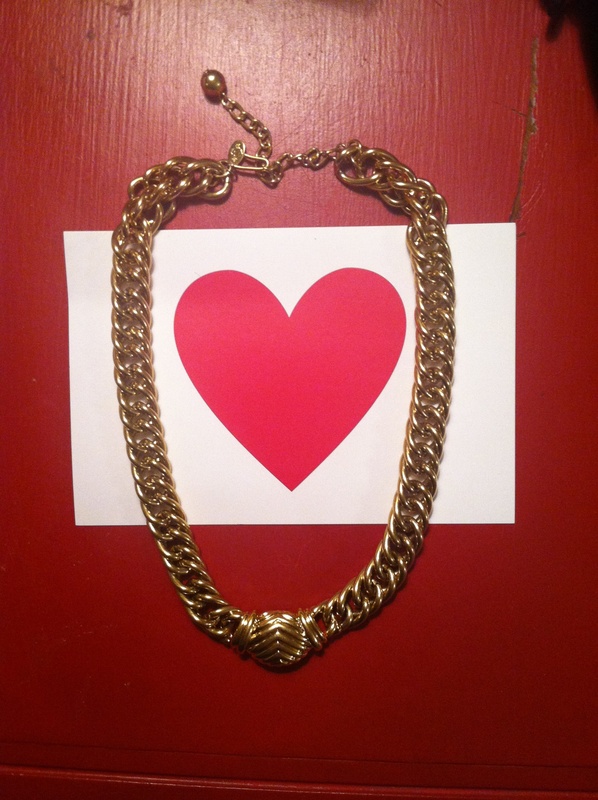 My 1980’s vintage chunky chain bar necklace. 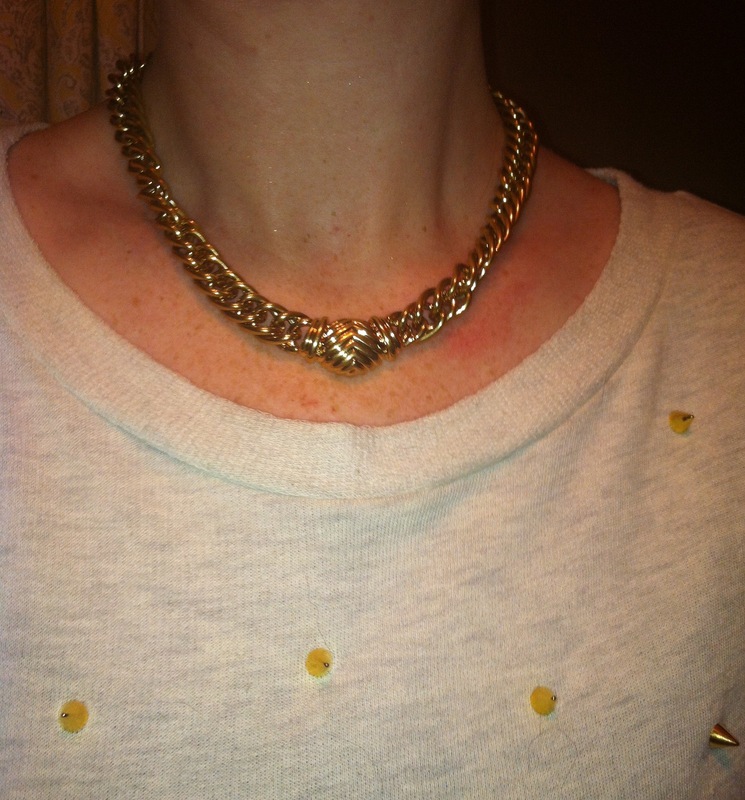 :::Swoon::: It may never leave my neck. Step 5: For real, good luck getting this off of my body, kids. So if you are looking for a birthday gift, a “you’re my best friend and I adore you” gift, an early Christmas present, or perhaps a gift from you to you to remind yourself how fantastic you are (which I thoroughly recommend doing this every now and then … it’s only healthy) … look to Sweet and Spark for some unique vintage jewelry that I can almost guarantee will always be in style … because vintage is always chic. You heard it here first, kids. 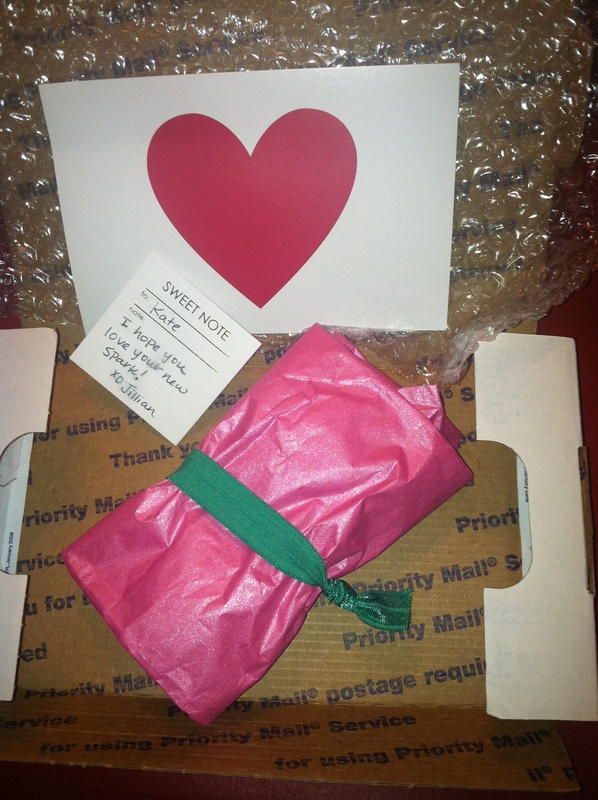 And to Jillian over at Sweet and Spark … thank you truly for sparkifying my bland and boring ol’ Wednesday. That looks fab! Trendy and timeless (my favorite). And glad you’re loving your new Spark.